A highly unusual feature of the new numbered GCSE grade scale is the claim that the new grade 5 will somehow reflect the standards of educational jurisdictions ranked near the top of international league tables. Given the controversy surrounding such tables it will be possible, for the first time, to raise profound technical concerns about a particular grade on the GCSE grade scale. Moreover, it will be difficult to make the case that grade 5 has any technical merit if Pisa ranks have any role in its determination. Pisa is the acronym for the Paris-based “Programme for International Student Assessment” and a glance at the Times Educational Supplement of 26.07.2013 will reveal that Pisa league tables are fraught with technical difficulties. The methodology which underpins Pisa ranks is called “Item Response Theory” (IRT). IRT software claims to estimate the ability of individuals based on their responses to test items. However, while the claim that ability is some inner state or “trait” of the individual from which his or her tests responses flow – the so-called reservoir model – is central to IRT, the claim is rarely supported by evidence. There is very good reason to reject the inner state approach. Consider, for example, the child solving simple problems in arithmetic. To explain this everyday behaviour it transpires that one must invoke inner states with talismanic properties in that the state must be timeless, infinite and future-anticipating! Great caution is needed when using the word “ability” – while test evidence can justify us in saying that an individual has ability, that same evidence can never be used to justify the claim that the word “ability” refers to an inner (quantifiable) state of that individual. Ability is not an intrinsic property of an individual; rather, it is a property of the interaction between individual and test items. The individual’s responses to the test items are an inseparable part of that ability. Indeed, divorced from a measurement context, ability is indefinite. Individuals have definite ability only relative to a measurement context; even here it is incorrect to suggest that individuals have a quantifiable entity called “ability.” Abandoning IRT’s appealingly simple picture of ability as an inner (quantifiable) state that individuals carry about with them, renders IRT untenable. Ability is a two-faceted entity governed by first-person/third-person asymmetry: while we ascribe ability to ourselves without criteria, criteria are an essential prerequisite when ascribing ability to others. The criticisms levelled by Bohr and Wittgenstein are particularly damaging because IRT modellers construe ability as something inner which can be measured. 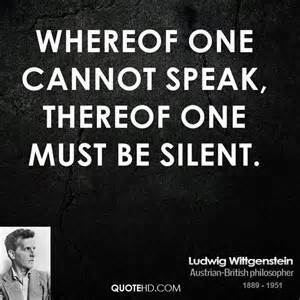 Few philosophers can match Wittgenstein’s contribution to our understanding of what can be said about the “inner”; and few scientists can match Bohr’s contribution to our understanding of measurement, particularly when the object of that measurement lies beyond direct experience. (Bohr is listed among the top ten physicists of all time in recognition of his research on the quantum measurement problem.) Both Bohr and Wittgenstein are concerned with the same fundamental question: how can one communicate unambiguously about aspects of reality which are beyond the direct experience of the measurer? Just as Bohr rejected entirely the existence of definite states within the atom, Wittgenstein also rejected any claim to inner mental states; potentiality replaces actuality for both men. 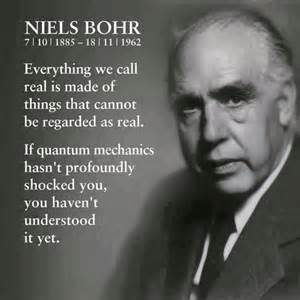 For the duration of his professional life, Bohr maintained that quantum attributes have a “deep going” relation to psychological attributes in that neither can be represented as quantifiable states hidden in some inner realm. We will always be limited to talking about ability; we will never be able to answer the question “what is ability?” let alone quantify someone’s ability. Bohr believed that “Our task is not to penetrate into the essence of things, the meaning of which we don’t know anyway, but rather to develop concepts which allow us to talk in a productive way about phenomena in nature. …The task of physics is not to find out how nature is, but to find out what we can say about nature. … For if we want to say anything at all about nature – and what else does science try to do? – we must somehow pass from mathematical to everyday language” [italics added]. 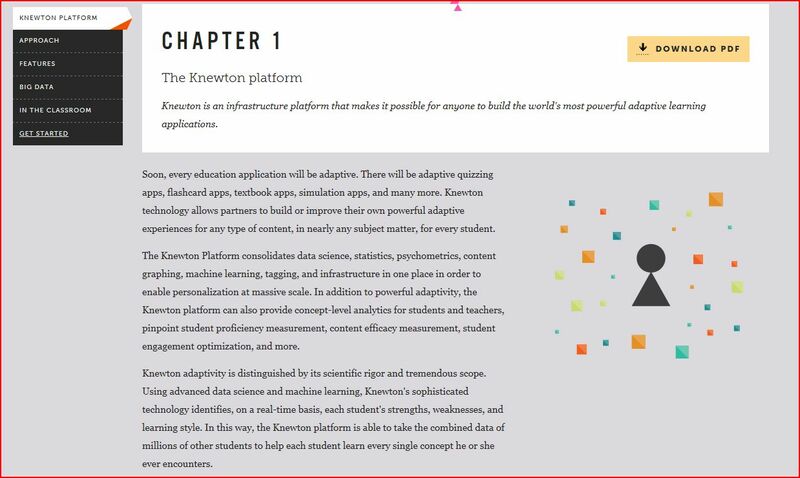 Given that IRT software is designed to measure ability, it may surprise readers that the claim that ability can be construed as a quantifiable inner state is rarely defended in IRT textbooks and journal articles. In their article “Five decades of item response modelling,” Goldstein and Wood trace the beginnings of IRT to a paper written in 1943 by Derrick Lawley. They note: “Lawley, a statistician, was not concerned with unpacking what ‘ability’ might mean.” Little has changed in the interim. Given the depth of the conceptual problems which afflict IRT and, as a consequence, Pisa rankings, it seems to me foolhardy in the extreme to predicate the new GCSE grade 5 on Pisa rankings. Ofqual have announced that grade 5 will be “broadly in line with what the best available evidence tells us is the average PISA performance in countries such as Finland, Canada, the Netherlands and Switzerland.” In addition to Ofqual, the Department for Education and Tim Oates, director of research at Cambridge Assessment, appear to endorse a role for Pisa in UK public examinations. The Department for Education have produced a report – PISA 2009 Study: How big is the gap? – which creates the impression that “gaps” between England and high performing Pisa countries can be represented on a GCSE grade scale designed for reporting achievement rather than ability. Finally, the director of Cambridge Assessment asserts: “I am more optimistic … than most other analysts, I don’t see too many problems in these kinds of international comparisons.” Indeed, Mr Oates believes that UK assessment has much to learn from involving Pisa staff directly in solving the grade 5 problem: “If we want to do it formally then we ought to have discussions with OECD. … OECD have some pretty sophisticated processes of equating tests which contain different items in different national settings.” There is an immediate problem with this claim. Since the psychometric definition of equity begins with the words: “for every group of examinees of identical ability …,” equity itself is founded on the erroneous assumption that ability can be quantified. For the first time in the history of public examinations in the UK the technical fidelity of a GCSE grade will be linked to Pisa methodology. Given the concerns surrounding IRT, is it not time for Ofqual to distance itself from the claim that the grade 5 standard is somehow invested with properties which allow it to track international standards in the upper reaches of the Pisa league tables? The recent introduction of the rather vague term “strong pass” smacks of desperation; couldn’t a grade 6 also be deemed a strong pass? Why not stop digging, sever the link with Pisa, and simply interpret grade 5 as nothing more than the grade representing a standard somewhere between grade 4 and grade 6? A highly unusual feature of the new numbered GCSE grade scale is the claim that the new grade 5 will somehow reflect the standards of educational jurisdictions ranked near the top of international league tables. Given the controversy surrounding such tables it will be possible, for the first time, to raise profound technical concerns about a particular grade on the GCSE grade scale. Moreover, it will be impossible to make the case that grade 5 has any technical merit if (as seems likely) Pisa ranks have any role in its determination. 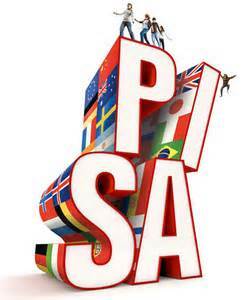 Pisa is the acronym for the OECD’s “Programme for International Student Assessment” and a glance at the Times Educational Supplement of 26.07.2013 will reveal that Pisa league tables are fraught with technical difficulties. For the first time in the history of British examinations, a simple argument that anyone can understand can be deployed to undermine the technical fidelity of a particular examination grade. Mixing the measurement of achievement with the measurement of ability exposes the new grade 5 to ridicule. If grade 5 is to be predicated on Pisa rankings then profound validity shortcomings in respect of the rankings will have implications for grade 5. Consider the arrangement of balls on a snooker table before a game begins. The configuration of balls requires 44 numbers (two per ball, with the front and side rails serving as coordinate axes). While the arrangement of balls on a snooker table cannot be summarised in less than 44 numbers, Pisa claims to represent the state of mathematics education in the USA – with its almost 100,000 schools – in a single number. It would seem that what cannot be achieved for the location of simple little resin balls is nevertheless possible when the entity being “measured” is the mathematical attainment of millions of complex, intentional beings. The Nobel laureate Sir Peter Medawar labelled such claims “unnatural science.” Citing the research of John R. Philip, he notes that the properties of a simple particle of soil cannot be captured in a single number: “the physical properties and field behaviour of soil depend on particle size and shape, porosity, hydrogen ion concentration, material flora and water content and hygroscopy. No single figure can embody itself in a constellation of values of all these variables.” Once again, what is impossible for a tiny particle of soil taken from the shoe of one of the many millions of pupils who attend school in America, is nevertheless possible when the entity being “measured” is the combined mathematical attainment of a continent’s schoolchildren. The OECD has now taken the bold step of analysing measures of “happiness,” “well-being” and “anxiety” for individual countries (see, for example, ‘New Pisa happiness table,’ Times Educational Supplement 19.04.2017). In these tables “life satisfaction,” for example, is measured to two-decimal place accuracy. This begs the question, “Can complex constructs such as happiness or anxiety really be represented by a number such as 7.26?” For two giants of 20th century thought – the philosopher Ludwig Wittgenstein and the father of quantum physics, Niels Bohr – the answer to this question is an unequivocal “no.” The fundamental flaws in Pisa’s approach to measuring happiness will serve to illustrate the folly of linking a particular GCSE grade to Pisa methodology. Once again, surely common sense itself dictates that constructs such as happiness, anxiety and well-being cannot be captured in a single number? 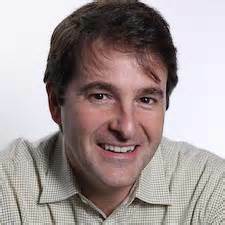 In his book Three Seductive Ideas, the Harvard psychologist Jerome Kagan draws on the writings of Bohr and Wittgenstein to argue that measures of constructs such as happiness cannot be attributed to individuals and cannot be represented as numbers because such measures are context-dependent. He writes: “The first premise is that the unit of analysis … must be a person in a context, rather than an isolated characteristic of that person.” Wittgenstein and Bohr (independently) arrived at the conclusion that what is measured cannot be separated from the measurement context. It follows that when an individual’s happiness is being measured, a complete description of the measuring tool must appear in the measurement statement because the measuring tool helps define what the measurer means by the word happiness. Kagan rejects the practice of reporting the measurement of complex psychological constructs using numbers: “The contrasting view, held by Whitehead [co-author of the Principia Mathematica] and Wittgenstein, insists that every description should refer to … the circumstances of the observation.” The reason for including a description of the measuring instrument isn’t difficult to see. Kagan points out that “Most investigators who study “anxiety” or “fear” use answers on a standard questionnaire or responses to an interview to decide which of their subjects are anxious or fearful. A smaller number of scientists ask close friends or relatives of each subject to evaluate how anxious the person is. A still smaller group measures the heart rate, blood pressure, galvanic skin response, or salivary level of subjects.” Alas, all these methodologies yield very different “measures” of the anxiety or fear of the subject. According to Bohr, when one reports psychological measurements, the requirement to describe the measurement situation means that ordinary language must replace numbers. This invalidates the entire Pisa project. Werner Heisenberg summarised his mentor’s teachings: “If we want to say anything at all about nature – and what else does science try to do – we must pass from mathematical to everyday language.” The consequences of accepting this counsel are clear; one cannot rank order descriptions. The arguments advanced above apply, without modification, to Pisa’s core activity of measuring pupil ability. A simple thought experiment (first reported in the Times Educational Supplement of 26.07.2013) makes this clear. Suppose that a pupil is awarded a perfect score in a GCSE mathematics examination. It seems sensible to conjecture that if Einstein were alive, he too would secure a perfect score on this mathematics paper. Given the title on the front page of the examination paper, one has the clear sense that the examination measures ability in mathematics. Is one therefore justified in saying that Einstein and the pupil have the same mathematical ability? This paradoxical outcome results from the erroneous treatment of mathematical ability as something entirely divorced from the questions which make up the examination paper (the measurement context). 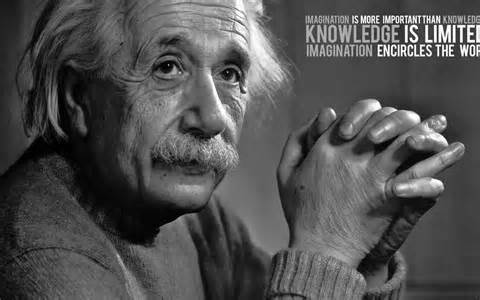 It is clear that the pupil’s mathematical achievements are dwarfed by Einstein’s; to ascribe equal ability to Einstein and the pupil is to communicate ambiguously. To avoid the paradox one simply has to detail the measurement circumstances in any report of attainment and say: “Einstein and the pupil have the same mathematical ability relative to this particular GCSE mathematics paper.” By including a description of the measuring instrument one is, in effect, making clear the restrictive meaning which attaches to the word “mathematics” as it is being used here; school mathematics omits whole areas of the discipline familiar to Einstein such as non-Euclidean geometry, tensor analysis, vector field theory, Newtonian mechanics, and so on. As with the measurement of happiness, when one factors in a description of the measuring instrument, the paradox dissolves away. Pace Pisa, ability is not an intrinsic property of the person. Rather, it is a joint property of the person and the measuring tool. Ability is the property of an interaction. Alas for Pisa, the move from numbers to language also dissolves away that organisation’s much-lauded rank orders. Little wonder that Wittgenstein described the reasoning which underpins the statistical model (Item Response Theory) at the heart of the Pisa rankings as “a disease of thought.” For the first time, the many profound conceptual difficulties of the Pisa league table now become difficulties for a grade on the GCSE grade scale. Why would anyone agree to predicate a perfectly respectable grade scale on a ranking system with such profound shortcomings? The fact that a switch from numbers to language invalidates entirely the practice of ordering countries according to the efficacy of their education systems has profound implications for the validity of inferences made in respect of the new GCSE grade 5. Given the assertion that grade 5 is designed to reflect the academic standards of high performing educational jurisdictions, as identified by their Pisa ranks, what possible justification can be offered for assigning a privileged role to the GCSE grade 5 in school performance tables? To date, the profound conceptual difficulties which attend Pisa ranks have not impacted directly on the life chances of particular children in this country. This would change if individual pupils failing to reach the grade 5 standard were construed as having fallen short of international standards (whatever that means). If one accepts the reasoning of Simon, Wittgenstein and Bohr, grade 5 can represent nothing more than a standard somewhere between grade 4 and grade 6. Any attempt to accord it special status, thereby giving it a central role in the EBacc and/or performance tables, for example, risks exposing the new GCSE grading scale to ridicule. PISA cannot be rescued by switching IRT model because all IRT modelling is flawed. On page 33 of the Times Educational Supplement of Friday 25th November 2016, Andreas Schleicher, who oversees PISA, appears to accept my analysis of the shortcomings of the Rasch model which plays a central role in PISA’s league table. The Rasch model is a “one parameter” Item Response Theory (IRT) model, and Schleicher argues that PISA’s conceptual difficulties can be resolved by abandoning the Rasch model for a two or three parameter model. However, my criticisms apply to all IRT models, irrespective of the number of parameters. In this essay I will set out the reasoning behind this claim. One can find the source of IRT’s difficulty in Niels Bohr’s 1949 paper entitled Discussion with Einstein on Epistemological Problems in Atomic Physics. Few scientists have made a greater contribution to the study of measurement than the Nobel Laureate and founding father of quantum theory, Niels Bohr. Given Bohr’s preoccupation what the scientist can say about aspects of reality that are not visible (electrons, photons, and so on), one can understand his constant references to measurement in psychology. “Ability” cannot be seen directly; rather, like the microentities that manifest as tracks in particle accelerators, ability manifests in the examinee’s responses to test items. IRT is concerned with “measuring” something which the measurer cannot experience directly, namely, the ability of the examinee. IRT relies on a simple inner/outer picture for its models to function. In IRT the inner (a realm of timeless, unobserved latent variables, or abilities) is treated as independent of the outer (here examinees write or speak responses at moments in time). This is often referred to as a “reservoir” model in which timeless abilities are treated as the source of the responses given at specific moments in time. However, this temptingly simplistic model in which the formula is in the unobserved mental realm and written or spoken applications of the concept “quadratic” take place in the observed realm, contains a fundamental flaw; the two realms cannot be meaningfully connect. The “inner” formula (in one realm) gets its guidance properties from human practices (in the other realm). A formula as a thing-in-itself cannot guide; one has to be trained in the established practice of using the formula before it has guidance properties. In school mathematics examinations around the world, pupils are routinely issued with a page of formulae relevant to the examination. Alas, it is the experience of mathematics teachers everywhere that simply having access to the formula as a thing-in-itself offers little or no guidance to the inadequately trained pupil. The formula located in one realm cannot connect with the applications in the other. Returning to Bohr’s writing, it is instructive to explain his use of the word “complementarity” in respect of psychology and to explain the meaning of the words: “stands in a relation of exclusion.” Complementarity was the most important concept Bohr bequeathed to physics. It involves a combination of two mutually exclusive facets. In order to see its relevance to the validity of IRT modelling, let’s return to the two distinct realms. We think of the answers to a quadratic equation as being right or wrong (a typical school-level quadratic equation has two distinct answers). In the realm of application this is indeed the case. When the examinee is measured, his or her response is pronounced right or wrong dependent upon its relation to established mathematical practice. However, in the unobserved realm, populated by rules, formulae and precepts (as things-in-themselves), any answer to a quadratic equation is simultaneously right and wrong! On this reading, ability has two mutually exclusive facets which cannot meaningfully be separated. The distinguished Wittgenstein scholar, Peter Hacker, captures this situation as follows: “grasping an explanation of meaning and knowing how to use the word explained are not two independent abilities but two facets of one and the same ability.” Ability, construed according to Bohr’s complementarity, is indefinite when unobserved and definite when observed. Moreover, this definite measure is not an intrinsic property of the examinee, but a property of the examinee’s interaction with the measuring tool. Measurement of ability is not a matter of passively checking up on what already exists – a central tenet of IRT. Bohr teaches that the measurer effects a radical change from indefinite to definite. Pace IRT, measurers, in effect, participate in what is measured. No item response model can accommodate the “jump” from indefinite to definite occasioned by the measurement process. All IRT models mistakenly treat unmeasured ability as identical to measured ability. What scientific evidence could possibly be adduced in support of that claim? No IRT model can represent ability’s two facets because all IRT models report ability as a single real number, construed as an intrinsic property of the measured individual. 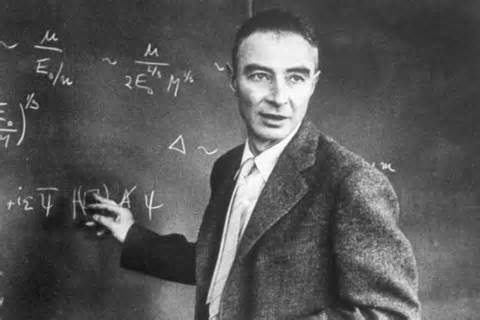 The musings of Dominic Cummings – it’s science, but not as we know it! In an article entitled “Don’t let the schools revolution go unfinished” in The Times of 1 September, Dominic Cummings returns to his attack on just about everyone in education excepting himself and Michael Gove. One passage is striking: “Although we tried to replace GCSEs with exams that would enable a genuinely scientific approach to learning, Nick Clegg and David Cameron stopped us, supported by almost everyone powerful in the system.” Alas, this list of opponents is incomplete, for the Gove/Cummings approach to science is also rejected by two of the giants of 20th century thought: Niels Bohr and Ludwig Wittgenstein. One of the most celebrated debates in the history of science is the so-called Bohr-Einstein debate over “quantum entanglement.” Bohr, who was the victor in the debate, interpreted it as addressing a fundamental question: what is meant when one assigns a property to something? To quote Bohr’s careful language directly from his essay Discussion with Einstein on Epistemological Problems in Atomic Physics: there is a “mutual relationship which will always exist between the practical use of any word and attempts at its strict definition”. Bohr makes clear the implications for psychological (and educational) attributes. All intentional attributes only adopt definite values when measured. To treat unmeasured attributes as definite is incorrect. Both IRT and RCTs offend against this central tenet of measurement. As a consequence, the output from such models is meaningless. Precisely the same arguments appear in the later philosophy of Wittgenstein. Anyone who examines the mathematics of RCTs will very quickly see the intractable problems which arise when this methodology is applied to issues in education. The interested reader should see R.A. Fisher’s (1935) seminal work, “The Design of Experiments” (see also H.B. Mann’s (1949) “Analysis and Design of Experiments”). It is important to be clear that the critique offered here applies only to the study of educational attributes. This reasoning has no implications for RCTs conducted in medicine. In view of the cost of RCTs, taxpayers should be alarmed by who suggest that what works in medicine should also work in education. This supposed equivalence seems to inform the writing of individuals like Matthew Syed and Ben Goldacre, and to underpin the Sutton Trust’s thinking on “evaluation.” The contrast between these two disciplines couldn’t be greater. The mathematics of RCTs only works for so-called intrinsic attributes. While blood pressure is an intrinsic attribute, all intentional attributes in education (understanding, learning, remembering, thinking, meaning and so on) are non-intrinsic attributes. Medical attributes such as blood pressure are governed by first-person/third-person symmetry, while educational attributes are first-person/third-person asymmetric. While medical RCTs are concerned with causal relationships, the relationship between mind and behaviour in education is acausal. Probability enters medical RCTs as subjective probability. Probability is objective in respect of educational attributes. RCT modelling deals only with reducible uncertainty while uncertainty in educational attributes is irreducible. 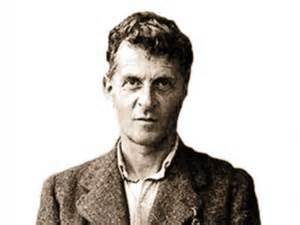 In his “Remarks on the Foundations of Mathematics”, for example, Wittgenstein writes in Part VI, §13 that “understanding is a vague concept.” This vagueness is not a deficiency in the attribute “understanding” but reflects an irreducible uncertainty without which the attribute would cease to function. Simple, static models of IRT and RCT can never accommodate such complex attributes for which uncertainty is not the result of poor instrumentation or human ignorance; rather it’s constitutional. When the focus is on educational attributes, the information which would reduce uncertainty simply doesn’t exist! Unwittingly, Gove and Cummings have been duped into accepting the approach to science of the much-derided “blob.” Their poor grasp of science and mathematics (see Cummings’ extended essay available online) has left them prey to the naïve thinking which underpins the PISA league table and the application of RCTs to education. 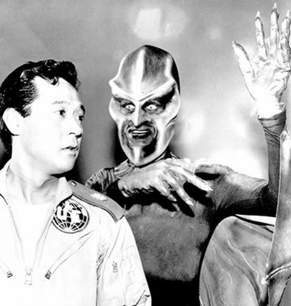 According to Mr Cummings, a Whitehall official described him as a “mutant virus” who should be “expelled from the organism.” This fits with a long tradition in science fiction cinema where the hapless lieutenant, who commits himself to defeating the brainwashing blob, in the end, succumbs to its influence, and finds that his former comrades are now out to get him.